The fight for the right to eat seal blubber. In Alaskan nursing homes and hospitals, tight federal regulations have meant that the most comforting foods for natives have been labeled illegal. That’s slowly changing. Muktuk, fresh pieces of whale skin and blubber, during the preparation of the uunaaliq on May 4, 2007, in Barrow, Alaska. One afternoon in 2014, May Bernhardt, an 87-year-old Inupiat Eskimo with stringy gray hair, toothlessly chewed a banana. The fruit was perfectly ripe and a good source of fiber and potassium, but she hated it. Bernhardt lives in a nursing home in the Alaskan Arctic, and like the other Inupiat elders in the home, she was accustomed to being served imported foods from faraway climes. But she and the others craved the traditional Inupiat foods they grew up eating. Most of them were raised in the bush of northwestern Alaska living a mostly subsistence lifestyle, eating caribou, fish, wild tundra berries, and marine mammals like seals and whales. Once they moved into the nursing home, a wooden building atop stilts drilled into permafrost beneath the grassy tundra, they had to eat what the home provided. And that meant bananas, green beans, potatoes, and pasta. “You can’t get an old-timer Eskimo and just switch them over to white [people’s] food. Such a big change don’t agree with ’em,” Bernhardt complained. Richard, another elder sitting nearby, 66-years-old and gray at the temples, concurred with the assessment. The problem is they didn’t have much say in the matter. Federal regulations determine which foods can be served in most nursing homes, and traditional Inupiat foods, the most unique of all Native American cuisines, sorely conflict with rules for nutrition and food safety. Since 2011, when the elders moved into the nursing home in the town of Kotzebue—with a population of 3,000, it’s Alaska’s largest town above the Arctic Circle—a distant federal bureaucracy thousands of miles away had come between them and the wild, meat- and animal fat–based diet they had grown up on. They complained. And the staff at the nursing home listened and brought their concerns south—to dieticians in Anchorage, health care providers, and Alaskan politicians. Soon, they had sparked a battle between this far-flung nursing home and the federal government that would embroil this tiny Arctic town in a tangled web of nutrition politics. When Val Kreil arrived in Kotzebue in 2013, he planned to stay for three weeks as the nursing home’s interim director. A soft-spoken middle-aged man, balding with a few tufts of red hair, Kreil had worked in more than 30 nursing homes throughout the “Lower 48,” as Alaskans call the continental U.S. But Kotzebue charmed him immediately. He liked the home’s diverse staff from all over the country and world. Sure, the negative-40-degree winter days and ferocious winds were daunting, but the hardy locals amazed him with their good nature despite living in one of the Earth’s harshest climates. More than anything, Kreil was impressed by how the Inupiat community showed respect toward its elders. In his vast experience, Kreil explained, “Kotzebue is the only place where I have seen elders truly respected. In the Lower 48, it’s more just lip service.” He admired the Inupiat tradition of young hunters always sharing their catch with elders, a sign of deference in a hunting-centered culture. So Kreil signed on as permanent director of the country’s northernmost accredited nursing home, known as Utuqqanaat-Inaat in Inupiaq. The only exception to the prohibition against traditional foods in the nursing home was during monthly “potlucks.” On the first Monday of each month, a long buffet table stretched across the nursing home’s dining hall with bubbling caribou soup, raw whale blubber, baked salmon and sheefish, wild berry desserts, and a bowl of seal oil—the quintessential Inupiat condiment and all-purpose dip. Steam would curl upward into the hall’s high, latticed ceilings as residents and their relatives, who provided the spread, feasted. (It could not be prepared in the nursing home’s kitchen or served using its plates or cutlery.) Potluck foods, legally considered “gifts” to the elders, were exempt from the official tallies of caloric intake that counted toward nutritional goals. When Kreil moved to Kotzebue, he inherited the previous director’s effort to serve traditional foods more often. When he reached out to a USDA representative in the Lower 48 to discern where things stood, he was met with surprise—she was not accustomed to contact from above the Arctic Circle, where agriculture and livestock, the USDA’s focus, are virtually nonexistent. To be eligible for federal reimbursement dollars, wild game animals, she told him, would require the same pre- and postmortem inspection as domesticated animals. A pre-mortem inspection for wild caribou, moose, musk oxen, seals, and whales is, of course, impossible. (As Kreil put it, they’re “not going to just stand there for the USDA inspector to stare” at them.) And besides, selling wild game meat is illegal anyway, so receiving federal reimbursement for such food would be akin to its illegal purchase and therefore impossible. Traditional Inupiat foods—and indeed all local foods in the Arctic—are necessarily wild. But USDA guidelines apply chiefly to domesticated produce. 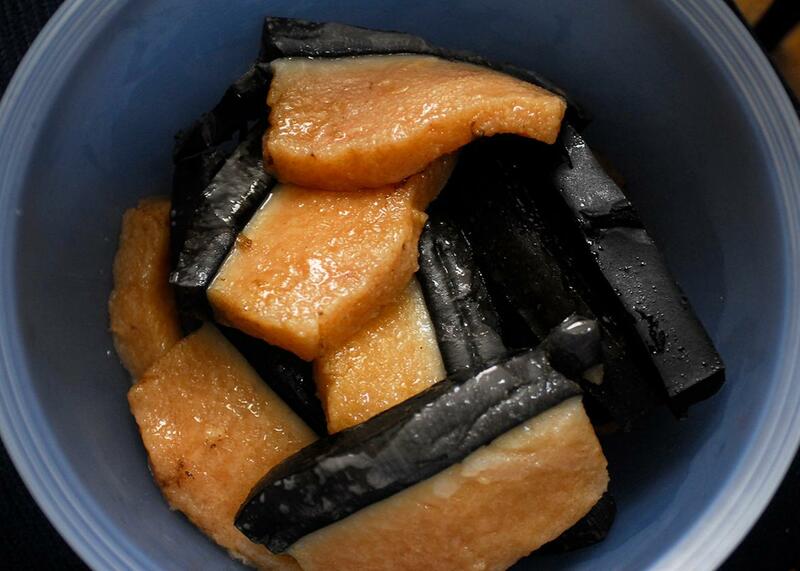 In addition, Inupiat dishes violate the USDA’s nutritional standards. The particular Arctic environment of northwestern Alaska shaped a unique native cuisine of wild foods high in meat and animal fat and virtually devoid of fruits and vegetables. High-fat foods like whale blubber and seal oil, though once essential for surviving Arctic winters, exceed recommendations for fat intake as taught by modern medical dogma. And serving such foods raw, a favorite Inupiat custom, is totally out of the question for federal standards. Despite its stunning natural bounty, as far as the USDA was concerned, northern Alaska is a food desert. Kotzebue was not the only town in Alaska experiencing this fight, though. Kreil soon found an ally in Ted Mala, an internal medicine physician, who had been pushing for a rule change at his Anchorage hospital before Kreil’s arrival. Like nursing homes, federally funded hospitals and schools also receive reimbursement only by serving USDA-approved foods and meeting nutrition standards. Mala has numerous stories pointing to the important role traditional foods have played in his patients’ health, yet, he griped, “these foods practically had to be smuggled into the hospital like illicit contraband.” He especially recognized their value for patients suffering from mental health issues, a rampant epidemic among Alaska Native young adults. Mala’s experience is anecdotal, but evidence is accumulating to support his conviction. The Centers for Diseases Control and Prevention began encouraging consumption of traditional foods in 2008 as a way to promote health and prevent obesity and diabetes among Native Americans. With the shift away from physically demanding subsistence lifestyles and toward foods mostly purchased in grocery stores, health problems that were once rare have become common among native peoples. Obesity rates in Alaska soared more than 60 percent from the early 1990s to the mid-2000s, accompanied by rising rates of obesity-related diseases like diabetes. The medical profession increasingly sees traditional foods as part of the solution. Mala was raised in Buckland, a tiny road-less village that sits one hour by motorboat upriver from Kotzebue. (His father, Ray Mala, was Hollywood’s first native movie star.) After finishing medical school, Ted Mala became the first Alaskan Native physician to practice medicine in his home state. He has become a leading proponent of blending native traditions with modern conceptions of health. In 2009, Mala began attending annual White House Tribal Nations Conferences where tribal representatives gathered to raise issues and engage with specific federal agencies. Each year he represented the Inupiat Eskimo and pushed the USDA about serving traditional foods to hospitalized patients. His argument rested on cultural and health grounds—more traditional foods would improve health and strengthen native culture—but also on economic ones. In a region with few job opportunities but plentiful fish and game, serving wild foods could help the local economy, he argued. Instead of spending federal money on shipping costly produce, all of which comes from further south, funds could instead support local hunters and fishermen to provide food to the town’s nursing home, hospital, and school. But his annual argument yielded little progress. So, in 2011, Mala tried a different route: He approached Alaska’s Sen. Mark Begich to discuss legislative fixes. Begich was familiar with the issue—it was a topic of regular complaint from his constituents. After a rural outreach trip to Kotzebue in 2012, during which nursing home staff pressed him on it, he tasked his assistant Andrea Sanders with drafting legislation that he would present on the U.S. Senate floor. Sanders, a native of Alaska’s Yukon River delta region, began researching the issue. In early 2013, she began drafting a bill that would allow traditional foods to be served in public facilities primarily serving native people while also encouraging increased consumption of traditional foods for health reasons. She borrowed wording from Alaska’s own state regulations on wild foods. With its frontier culture and strong tradition of living off the land, Alaska’s law was far more lenient than federal rules on the topic of traditional and wild foods. Mala wrote letters of support, providing both medical and cultural perspectives for politicians and federal agencies. On a drizzly day in July 2015, more than a year after the passage of the updated Farm Bill, a crowd gathered around a small trailer in Kotzebue for a ribbon-cutting ceremony. A leading member of the Inupiat community spoke as raindrops splotched his notes; miles away across the tundra, rain quenched wildfires that had filled the town with smoke in recent days. The speaker stood before a row of Inupiat elders sitting in wheelchairs, themselves surrounded by dozens of locals who had come out in support. Mala stood among the crowd and received a special mention in the brief speech. The ribbon was cut to inaugurate the Siglauq Center, Alaska’s first official processing center for native foods. The trailer, a repurposed woodworking shop, would provide space and tools to process wild game and fish served in Kotzebue’s nursing home. The crowd toured the trailer, admiring its gleaming steel counters topped with saws and grinders and its two large walk-in freezers for storage. The construction of the Siglauq Center helped the nursing home clear the remaining legal hurdles posed by USDA regulation by providing a sanctioned place to process the food. After the approval of the Farm Bill, Kreil had called the USDA administrator once again to discuss the “Exotic Animals” provision of the Farm Bill. The provision lists common game species requiring proper USDA inspection, including deer, elk, and bison, but says nothing about two deer family members most relevant to northwestern Alaska—caribou and moose. The USDA administrator, admitting that since moose and caribou were not mentioned in the provision they may not require USDA oversight after all, agreed to defer to Alaska’s state agencies for approving these wild game meats. Kreil had also triumphed by gaining approval from CMS for his new menu. On a conference call that included representatives of Alaska’s Department of Environmental Conservation and federal representatives of CMS, Kreil argued that a CMS memo released in September 2011 allowed nursing homes to serve produce from their own gardens. In the Arctic, Kreil argued, “the tundra is our garden,” and so its wild bounty was the equivalent of garden vegetables in the Lower 48. DEC granted Siglauq a permit, and CMS agreed to maintain federal reimbursements for the wild foods processed there. By summer 2016 Inupiat foods were officially on the menu in Kotzebue’s nursing home—prepared in its kitchen, served on its plates, and counted toward the nutritional goals of its residents. Cyrus Harris, a local Inupiat man, worked as the nursing home’s official hunter and fisherman, perhaps the only job description of its kind in the country. Harris grew up along the shores and rivers of northwestern Alaska and cherishes the job that allows him to continue traditional subsistence activities and to serve his respected elders. Despite the achievements already won, the battle over traditional foods continues. One food not yet included or approved in the Farm Bill is seal oil. A Seal Oil Task Force formed in late 2016 with Kreil and a team of dieticians pushing for its inclusion among permitted traditional foods. Researchers at the University of Wisconsin are currently analyzing seal oil samples for botulism, a potential danger of improper production and a primary concern of health agencies. If safe production can be ensured, Alaska’s DEC will allow it to join the menu. During a recent lunch at Kotzebue’s nursing home, Bernhardt sat at one of the tables, slurping loudly at a bowl of caribou soup. Behind her, against the dining room wall, stood a large glass case displaying traditional Inupiat clothing and hunting implements—clothing that she grew up wearing that is now confined to display. Her generation may be the last to have truly grown up in the Arctic wild, and the threat posed by rising sea levels to Alaska’s coastal villages may speed the already hastened demise of Inupiat culture. But on that day, her complaint was simpler: She thought her own caribou soup recipe was better.